How Does HVAC Blower Failure Affect Your BMW? BMW is a German company that was founded in 1916. BMW stands for Bayerische Motoren Werke in German, but stands for Bavarian Motor Works in English. The company originated from another company called Rapp Motorenworke, which produced aircraft engines. Their first product created was the Illa engine for aircrafts. The engine was an inline six-cylinder that had an overhead camshaft valve train and was water-cooled. The engine was produced for aircrafts and had excellent fuel economy and that was able to perform well in high-altitudes. Since the aircraft engine was so fuel-efficient, the German military ordered many of the engines, which was a huge catalyst in the growth of the company. After World War I ended, the Versailles Armistice Treaty required BMW to stop the production of their aircraft engines. The company had to shift focus and start manufacturing other products that included things like equipment for farming and household items. During the year 1922 the company officially changed its name from Rapp Motorenworke to BMW and was able to reopen and produce engines again, but this time for motorcycles, trucks, buses. BMW is known for their powerful and well-designed engines. Their products are recognized as having lasting designs and do not generally fail. Yet, even with the excellent German design and proper car and maintenance, your BMW may experience some issues from time-to-time. One issue that has been found in some BMW’s is a failure of the HVAC blower system. 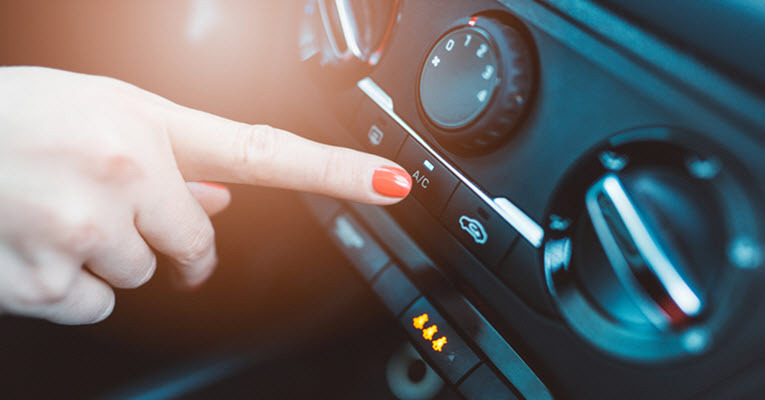 The HVAC system is the technology used to provide your car with temperature control. HVAC stands for Heating, Ventilation, and Air Conditioning. Essentially, the HVAC system is what provides your vehicle with air conditioning or heat. When the HVAC system fails it can be incredibly inconvenient and frustrating, especially depending on what time of year it is. BMW actually does have an excellent HVAC system, however, like most things it can be prone to failure over time, especially if you are not properly maintaining and servicing the system. The HVAC system is an integral part of your vehicle and the cause for failure is not always going to be the same. Each car is different and there can be many reasons why the system may fail. It is important to get a proper diagnosis or the problem will persist or get worse. A trained expert will be knowledgeable in HVAC systems and will be able to run diagnostics to determine the root cause. When you are experiencing HVAC issues, you will notice symptoms like temperature stagnation. If you switch from heating to cooling and you do not notice a change, that may indicate that there is a refrigerant leak. The system is cooled by a refrigerant called Freon. It circulates throughout the system allowing for you to have cool air in your vehicle. If there is a leak, the Freon is not able to properly circulate through the system, preventing the car from being able to release cool air. Another symptom of a failing HVAC system is that when adjusting the dials to increase air speed, if there is no change in the speed. When adjusting the air speed up or down there should be a slight increase or decrease in the amount of air produced. If you do not see a change or no air is produced at all, this could indicate that you have an electrical problem. That means that the HVAC system may not broken, but the electrical system will need to be fixed. It is never fun dealing with HVAC system problems that can make driving your vehicle unenjoyable and frustrating. Here at Hayes European, we have expertly trained mechanics that are able to help you identify any HVAC issues you are experiencing with your BMW. We provide diagnostics to be able to isolate and identify the problem and are able to repair the issue to ensure the system is properly functioning. Convenient to Santa Cruz, Aptos, Soquel, and Capitola, CA, we are able to help repair your problems and provide maintenance to vehicles to keep your BMW performing well. If you would like to learn more about other services we offer, or would like to schedule an appointment, please call one of our offices where we have representatives who are more than happy to help. * BMW F26 X4 image credit goes to: DarthArt. By AkamaiAssist| 2018-10-11T06:47:34+00:00 October 6th, 2018|BMW Repair|Comments Off on How Does HVAC Blower Failure Affect Your BMW?